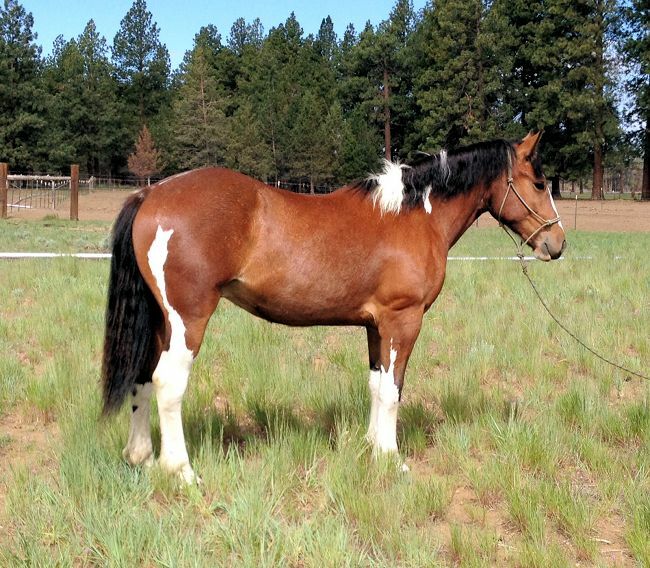 Bay Pinto Draft Cross Gelding. 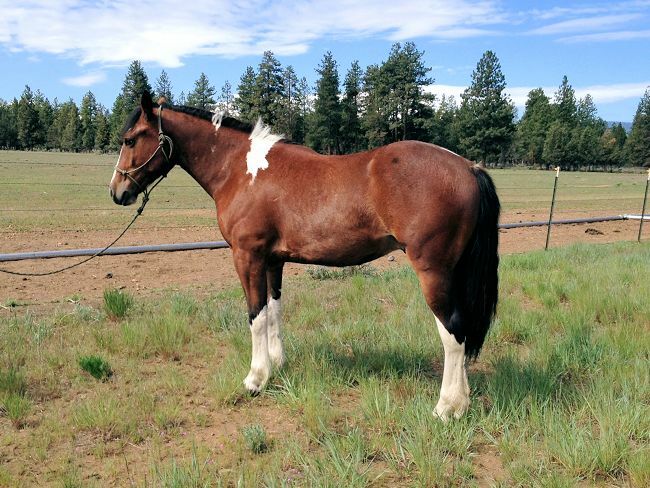 This gelding has great potential and he is gentle and willing. Travis has a few rides under saddle. Great ground manners, loads hauls with ease. Walk right up to him out in a big pasture and catch with no drama. His older siblings are doing well from Eventers to Ranch and Trail horses!